Recently, we took a family vacation to Florida. Usually, we spend the whole trip on Disney property. This time around, though, we stayed in 3 different resorts due to being in town for a conference. 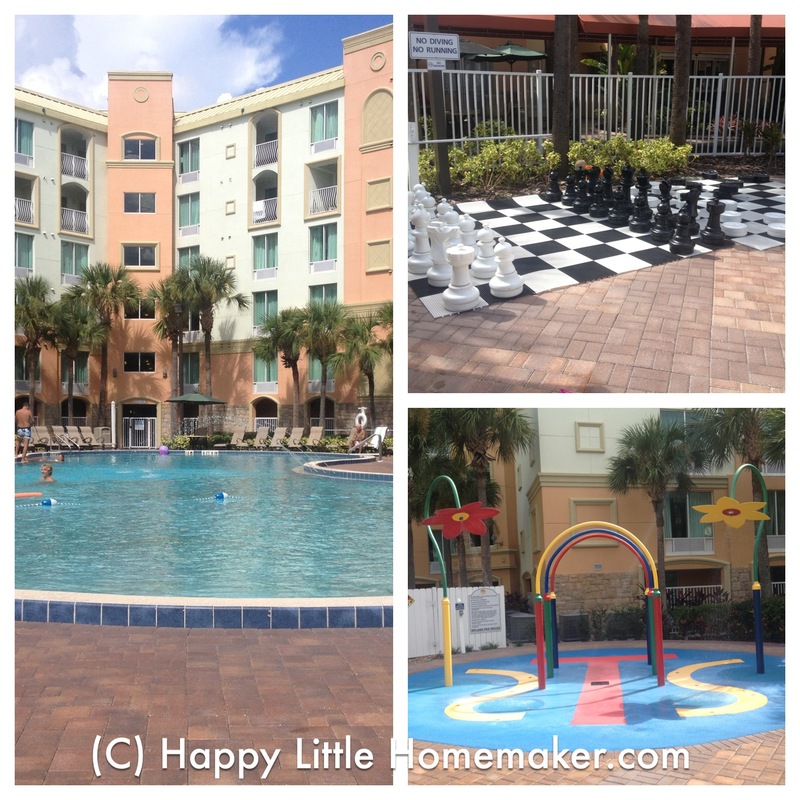 Of the three places we stayed on this trip, the Holiday Inn Resort Lake Buena Vista was our favorite. I could easily see this being our destination hotel of choice on a future trip. Not only is it a Disney Good Neighbor hotel with free transportation to Disney, but it’s one of the MouseSavers featured resorts as well! …have several kids and/or small kids and you need a family friendly place to spend your downtime. KidSuites! Rooms that include a mini room-within-a-room with a desk, tv and a set of bunk beds. Kids Eat Free! You can get vouchers at the front desk for kids to eat free at the adjoining Applebee’s for breakfast and dinner. You get two kids meals free per paying adult. Pool area. They had a pool with a roped off shallow end (3 ft) and the rest of the pool inched its way up to 6 ft. There was also a sprinkler pad area and two hot tubs. Indoor Fun. They had a “movie theatre” off the lobby that played one movie a day every 3 hours or so. There was also an arcade & if you played games at the pool you could win arcade tokens. Some by chance and some by skill, so even small children stand a chance at winning! Sundry Shop. Need a snack? No need for a car as long as you don’t mind paying a bit more you could get wipes, snacks, ice cream, breakfast stuff, souvenirs and more. Jen is a Catholic wife and mother to three little ones whose nose can usually be found buried in a book, learning once all the work is done. Or sometimes, even when it's not! An aspiring travel writer, you can also find Jen blogging about Catholic family life at Happy Little Homemaker. You can also find her on most social media sites including Google+.